From 1980: The robot from ITC's SATURN 3 graces the cover of FANTASTIC FILMS Volume 3, Number 1 (aka Collectors Edition 7 according to the cover). Interestingly, they have it as Saturn III (with roman numerals) but I can't find the film's title presented like that in any official print publicity (even overseas releases)... presumably because they didn't want to look like a sequel. thanks for pointing that out, I've always thought that SUPERMAN II could have been read as superman eleven as much as two. 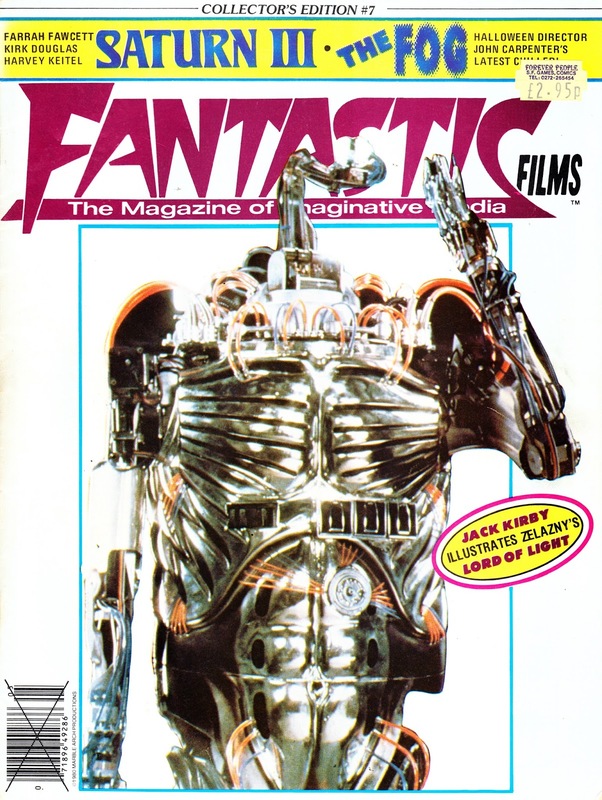 FANTASTIC FILMS had some great material in its day, a shame it didn't last longer.